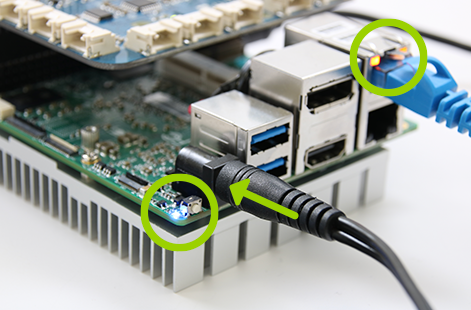 If you find yourself unable to connect your UP²* board to Arduino Create* using the default method, you can try an alternate method: connecting to the board using a serial terminal. Follow the steps below. 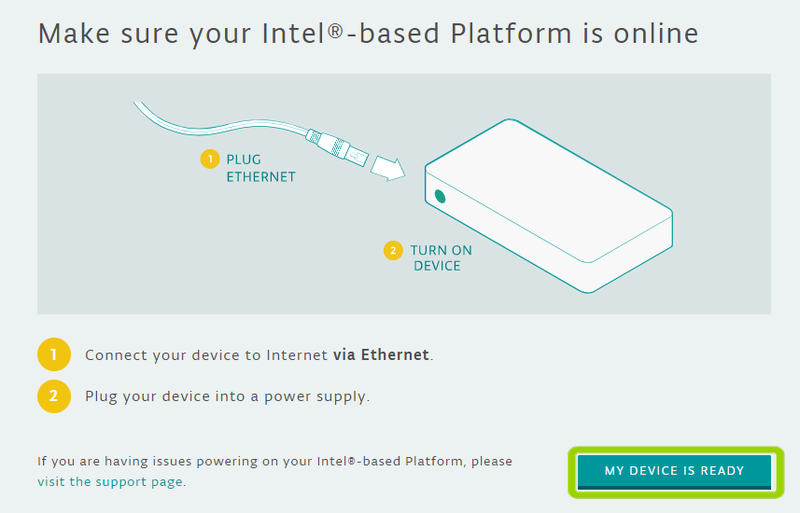 Make sure you have your board connected to power and Ethernet, as shown below. This opens a serial window you'll use later to enter commands to your board. Log in to the board using upsquared for both the user name and password. 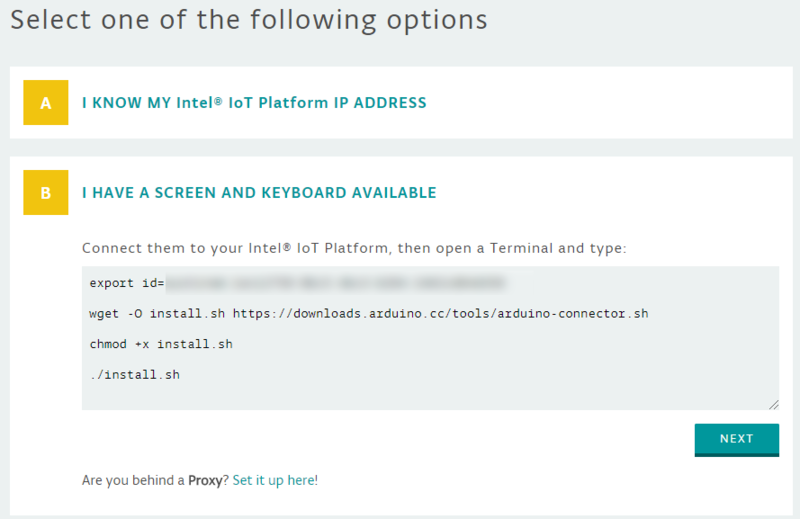 On your host computer, go to https://create.arduino.cc/getting-started/intel-platforms. Log in using your Arduino account. When given the option, click I have already installed an OS on my device. On the next screen, click My Device is Ready. Note: If you don’t already have an Arduino Create account, follow the onscreen instructions to sign up. You'll need to activate your account and log into the site using your new account. Select B: I HAVE A SCREEN AND KEYBOARD AVAILABLE. 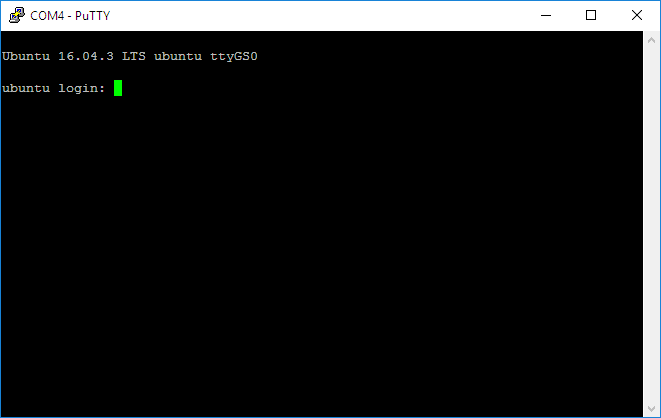 In your terminal window, enter each of the commands provided by Arduino Create, one by one. This installs an Arduino connector on your target platform. Note: For Option B to work, your host and device do not need to be on the same network. When finished running the commands, return to the Arduino Create interface and click Next to connect to your board. Give your board a name, such as up2. 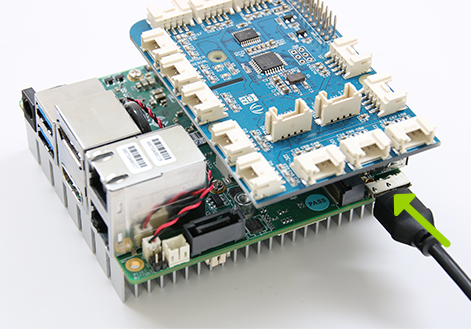 Note: Your board connects to the Arduino Create development environment over the Internet. If you disconnect your board and move it to another location, it should reconnect to the Arduino Create environment. If you are using proxy settings, you will need to go through this setup process again if move your board to a network that doesn’t have a proxy. 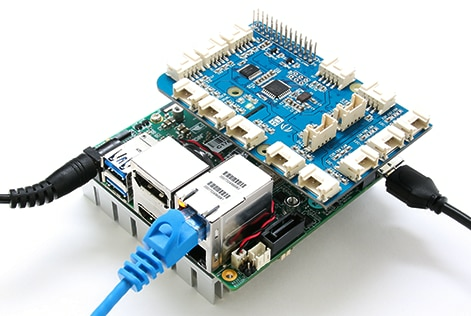 Now that you have your board connected, return to run your first project on the board.